The TSM411 is a compact and rugged dynamic microphone designed for high-impact sound sources such as snare, toms, congas, guitar and keyboard amps. The supercardioid pickup pattern rejects unwanted ambient sounds and focuses on the sound source directly in front of it for a cleaner mix. The microphone' new duo-point suspension' secret is an internal polymer floatation device decoupling the rare-earth assembly from the metal enclosure greatly reducing unwanted mechanical sounds from microphone stands. 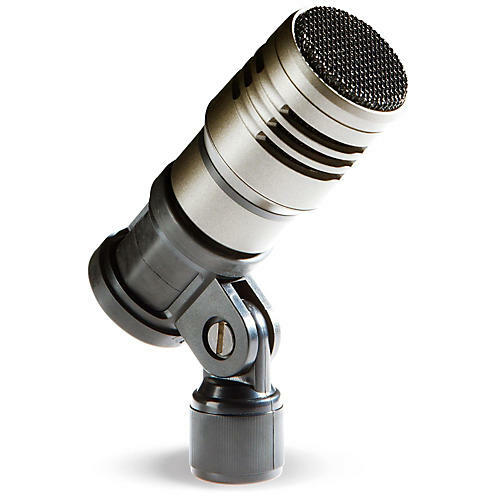 The included rubber mic clip provides additional isolation. Excellent for snare drum, mounted toms, floor toms, guitar cabinets, brass Instruments and more. Order now and focus your instrument miking like never before.